Saving up to £100 per couple. 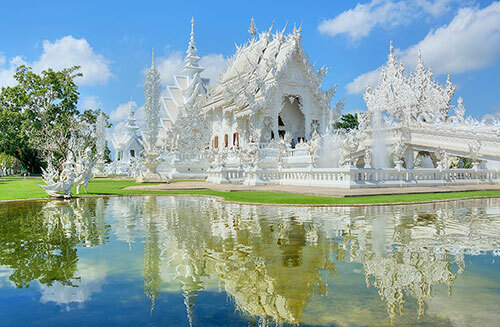 From Bangkok to Chiang Mai, this is a fascinating tour of Thailand. Visit stunning temples and take an elephant safari through the jungle as you explore this intriguing and beautiful land. After arrival, transfer to the Rembrandt Hotel to spend the rest of the day at your leisure. 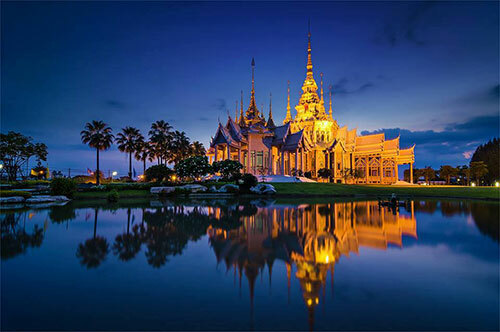 On Day 2, visit the Grand Palace and Temple of the Emerald Buddha. 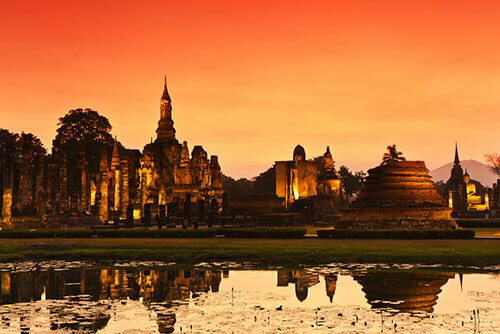 Visit Ayuthaya, the capital of old Siam, with its impressive palaces and temples. See former Hindu shrine Phra Prang Sam Yot and continue to Lopburi. Stop to visit Wat Phra Sri Rattana Mahathat, a mid-14th century temple in Phitsanuloke. Check in to Legendha Sukhothai Hotel. 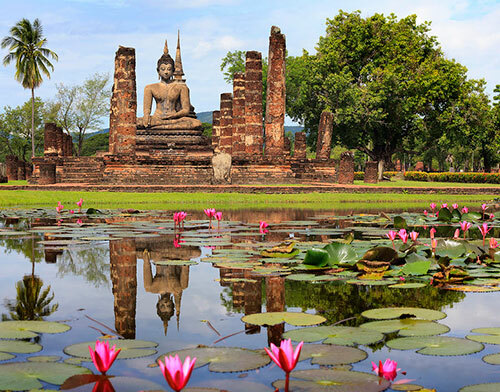 See the temples of Sukhothai Historical Park, a World Heritage Site. Visit Ramkhamhaeng National Museum, Wat Sa Sri and Wat Sri Choom. Continue to Sri Satchanalai-Chaliang Historical Park, with its beautiful Chedi, and stop at Wat Nang Phaya. In Lampang, ride a horse drawn carriage from the market to Baan Sao Nak, a 100-year-old teak house, stopping at Wat Don Tao. Overnight stay at Lampang River Lodge. Visit Wat Phra That Lampang Luang, one of northern Thailand’s most important temples. Stop at lakeside temple Wat Sri Khom Kham on the way to Chiang Rai. Cruise the Mae Kok River and visit a tribal village, before retiring to Wiang Inn Hotel. 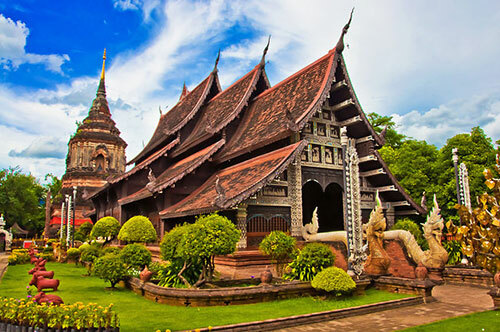 Visit Chiang Saen’s 13th century temple, Wat Phra That Chedi Luang and the House of Opium museum. Continue to the Golden Triangle, where the Mekong and Ruak Rivers meet and the borders of Laos, Myanmar and Thailand come together. Browse the shops and markets of Mae Sai, the northernmost Thai town. Arrive in Chiang Mai and check in to the Empress Hotel. In the evening, enjoy the Khantoke dinner and classical dance performance. Mae Tang River. See beautiful blooms and eat lunch at an orchid farm. On Day 8, visit a Meo hill tribe, before transferring to Chiang Mai Airport for your flight home. Guide price is per person. Based on 2 people sharing for 6 nights. Flights available from regional airports. Year round departures. All overseas transfers included.